Updated and clarified: The picketing should better be described as a work stoppage, not an official strike, as other unions were not asked to not cross the picket line. 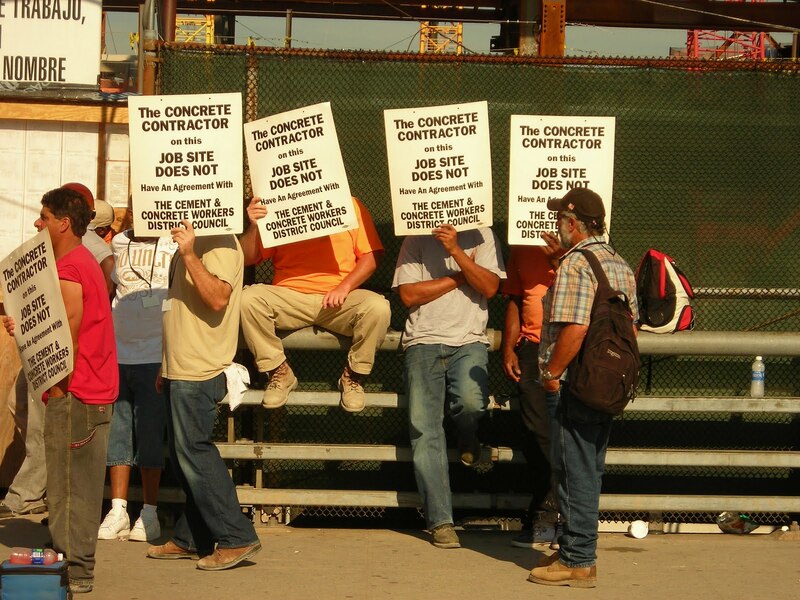 The Wall Street Journal reports that concrete workers picketed at several sites, but no strike vote has been held. The precursor to a long-threatened citywide strike of concrete workers began this morning, including picketers at the Atlantic Yards site, thus apparently stalling some critical work on the arena, notably the pouring of superstructure concrete. 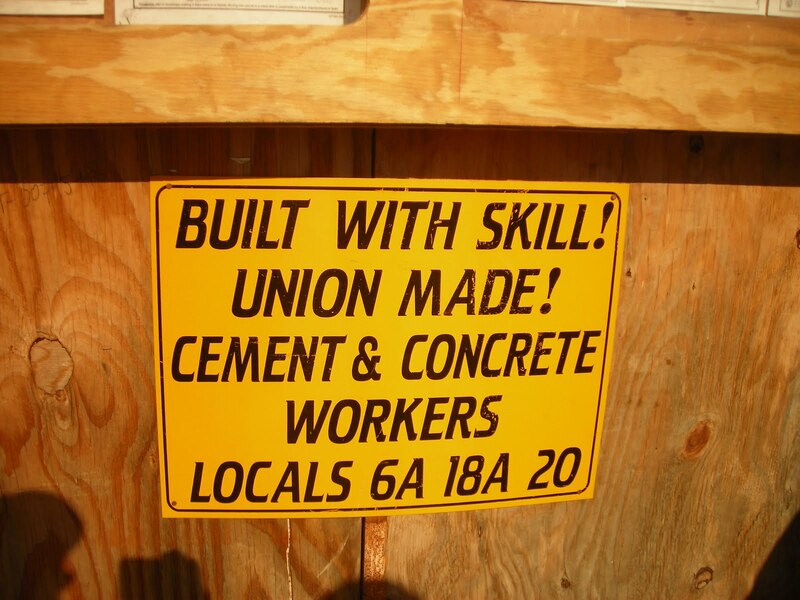 About a dozen workers picketed, and a representatives said they were about half the 25 union concrete workers at the site, down from a peak of nearly 50. It was the second job action in less than a week outside the gate to the Barclays Center site at Sixth Avenue and Pacific Street, Last week, in an unrelated event, mostly non-union workers condemned the lack of local hiring and contracting. 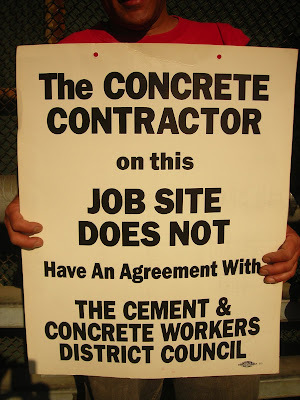 The city's 2700 concrete workers have threatened to strike since their contract expired June 30. Crain's reported July 13 that a walkout was averted as negotiations continued. 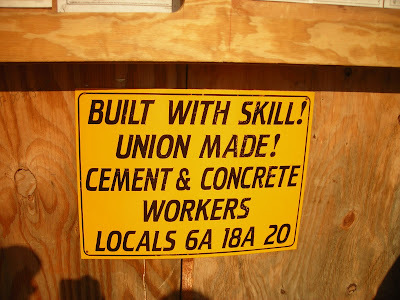 The Cement League, an industry association, wants an effective 25-cent-per-hour wage cut over three years, Crain's quoted union officials, who added that two years ago they agreed to accept a wage freeze. A union member told me that workers want a $1.50 increase in wages to make up for inflation. According to the Cement League, a journeyman member of the Cement and Concrete Workers District Council earns $34.90 in wages and $26.19 in fringe benefits, for a total of $61.09. On a 40-hour week, that's less than $1400 in wages. Some jobs involve significant overtime, though work is also intermittent, so full-time employment is hardly guaranteed. I have queries pending with the union office. A representative of Commodore Construction, which states on its website that in December 2010 it was awarded a project involving "Superstructure Concrete & Interior Fit Out of Suites," said the firm had no comment. Similarly, a representative of the Cement League had no comment. "Since the strike does not deal specifically with Atlantic Yards but with concrete workers' city-wide contract, we will refrain from commenting," said Forest City Ratner spokesman Joe DePlasco. For now, the sign affixed to the outside wall of the job site does not accurately describe the situation.